FORT BRAGG, N.C. -- 82nd Airborne Division Soldiers are in the final phases of airdrop testing five configurations of the Joint Light Tactical Vehicle (JLTV). During the test, Soldiers from A Company, 407th Brigade Support Battalion, 2nd Brigade Combat Team, 82nd Airborne Division, rigged, airdropped, and recovered the JLTVs on the drop zone along with the U.S. Army Operational Test Command's (OTC) Airborne and Special Operations Test Directorate (ABNSOTD). 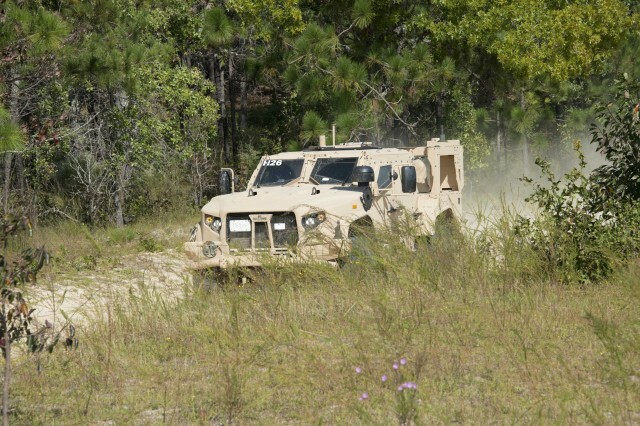 "Multiple configurations with both light and 'up-armored' JLTV models are air-dropped, then road tested to ensure they are still operational and fully mission capable after reaching the ground," said Mr. Wayne G. Lovely, Military Test Plans Analyst, Airborne and Special Operations Test Directorate, U.S. Army Operational Test Command. The test team is conducting 15 low-velocity airdrops of the vehicle -- three drops per configuration. During the JLTV operator's training, paratroopers were trained in vehicle operation, employment, troubleshooting, and maintenance. 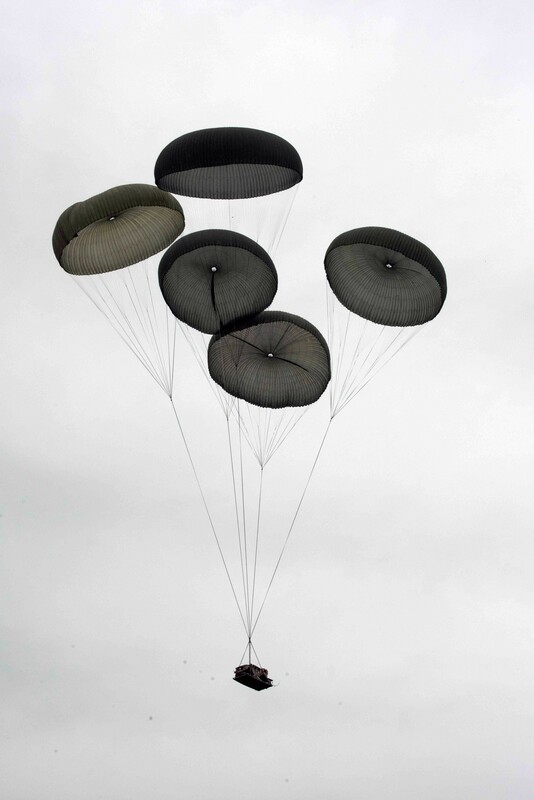 "New equipment training ensures paratroopers are adequately trained to operate the vehicle under test," said Lovely. 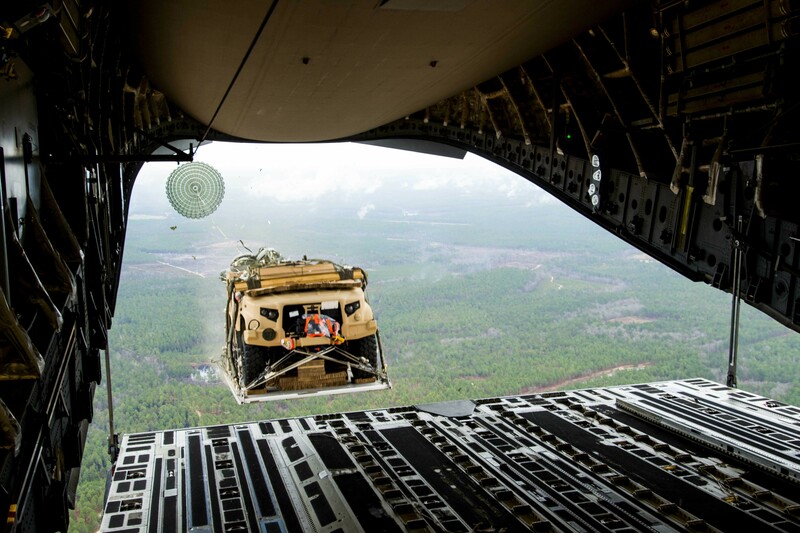 "Once testing begins, the paratroopers are capable of acting as both operators and maintainers of the vehicle." 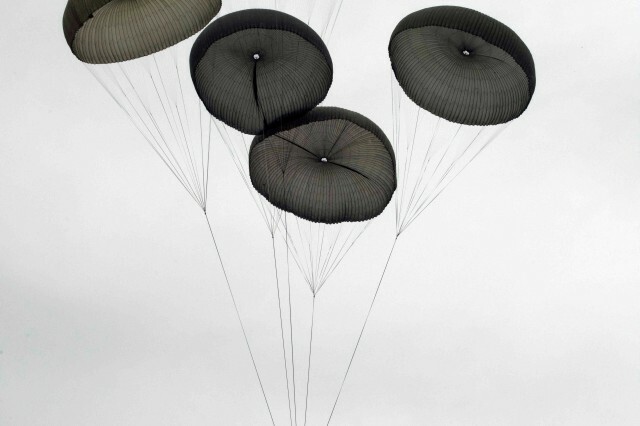 "I am glad to be part of the development of the JLTVs airdrop rigging, and would share his knowledge and ability to rig them with others in his company," said Brown. "Every piece of equipment Soldiers use has been independently tested and evaluated to meet current and future Army needs and requirements," said Staff Sgt. Eric Danisa. "Air drop testing goes further to make sure equipment still works after airborne operations." "Operational testing is about Soldiers," said Col. Bradley Mock, ABNSOTD director. "It is about making sure that the systems developed are effective in a Soldier's hands and suitable for the environments in which Soldiers train and fight," he added. 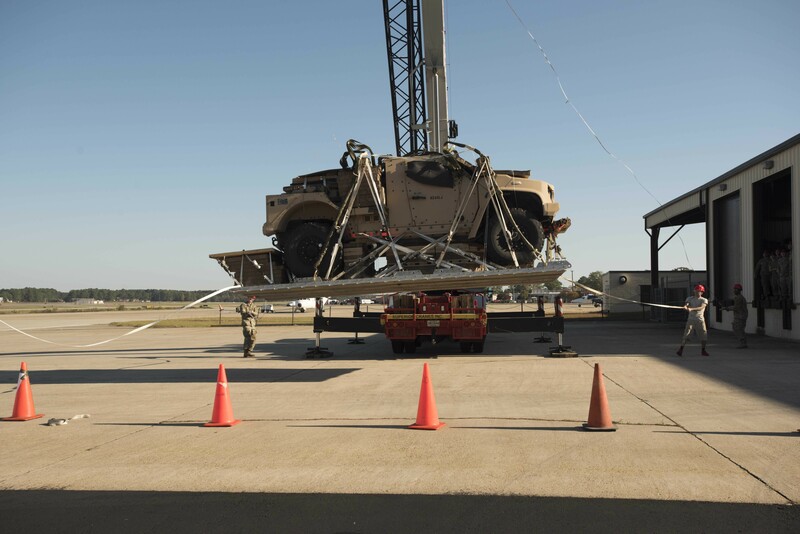 "Operational testing is OTC's opportunity to contribute to readiness; anything less compromises the Army's ability to provide the forces that fight and win the nation's wars." 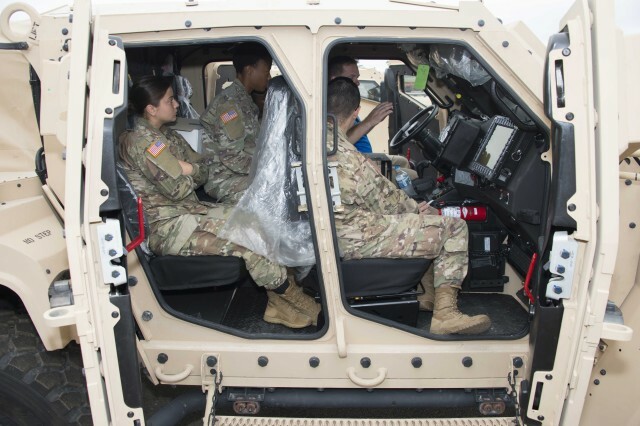 "Every piece of equipment Soldiers use has been independently tested and evaluated to meet current and future Army needs and requirements," said Lt. Col. Gregory Oquendo, chief of ABNSOTD's test division. "Leaders of units involved in testing have the first look at new systems, which may also drive changes to operations and doctrines," he said. "Tests are unit-led, which translates into coordinated control under realistic operational environment scenarios."